The Three Faces of Abigail: Are There More Alters Locked In There On Days of Our Lives?! It was shocking enough when we learned Abigail had an alternate personality named Gabigail on Days of Our Lives (DOOL). When Dr. Laura also revealed herself, it was startling. So it leaves one asking – could there be even more alters locked in there that we don’t know about? After all, who thought she was anyone but Abigail? And, if more are revealed, will they be even more lethal than Gabigail? It was easier to believe that her alter named after Gabi (Camila Banus) had killed Andre (Thaao Penghlis), because we know how much Abby admired and loved her brother-in-law. So when Gabigail revealed it was actually Abby who killed him, it was upsetting to say the least. Soap Hub wanted to know if DAYS fans think there are more alters to come, and you weren’t shy with your answers. After all, you’re no newbie to soaps – you have a pretty good idea how far things go in Salem. No town pushes the boundaries more and you’re ready for the ride of your life. After almost 11,000 votes were tallied, 54% were committed to the idea that of course there must be more alters locked away in Abby’s fragile mind. You’re intrigued by Gabigail’s vitality and Dr. Laura’s strength that you’re just dying to see what other facets of Abigail will be revealed. Still, 46% believe three is the magic number. 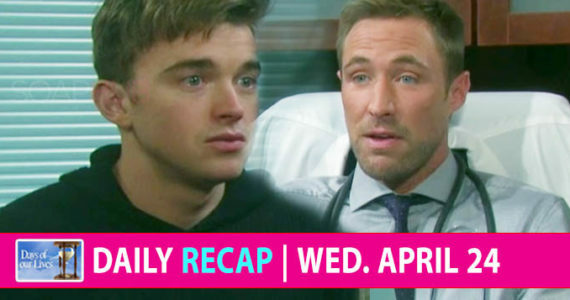 We’ve seen them all and now the story needs to move forward with figuring out how to integrate them before they screw up Abby and Chad’s (Billy Flynn) marriage. You see the way Gabigail looks at Stefan (Tyler Christopher) and it has you worried.